Classic, elegant, and goes with everything. Rich in history and flavour and made from 100% certified organic Koroneiki olives, our new extra virgin olive oil is grown and bottled in Sparta, Greece by some of the most talented cultivators in the world. 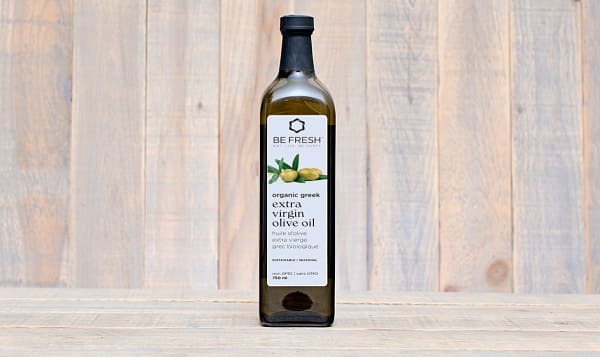 Perfect for pestos, dressings, dipping and cooking, it’s the all around, every day extra virgin olive oil you need in your life. This product traveled 9837 km to reach our warehouse.